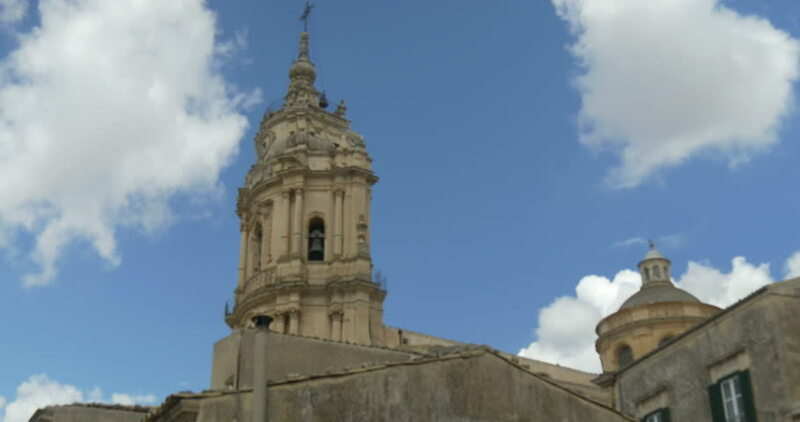 The baroque Saint George cathedral of Modica in Sicily (Italy). UNESCO World Heritage Site. hd00:20Cathedral of Malaga, Spain. Low angle view of the bell tower. hd00:13VENICE, ITALY - CIRCA 2011: Chiesa di San Geremia in Venice.